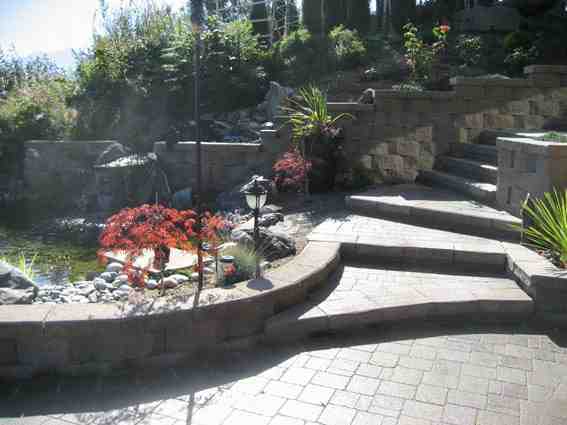 When it comes to walls and staircases, the unique geographies of Abbotsford, Mission, Chilliwack and the rest of the Fraser Valley demand unique, creative, and diverse building solutions. 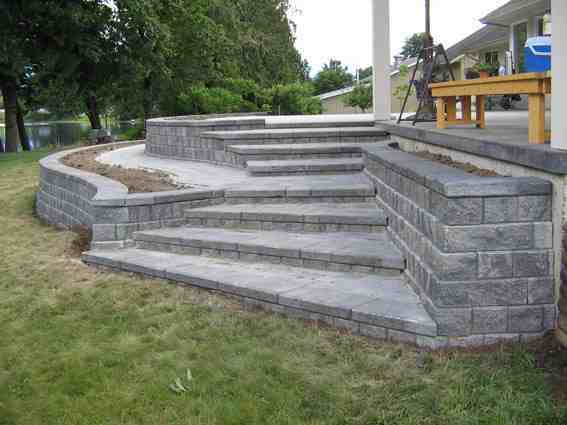 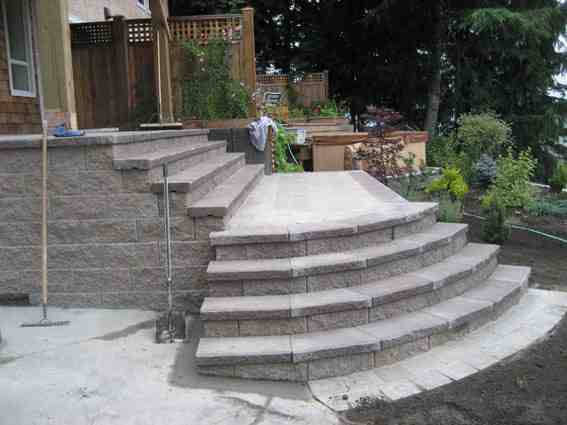 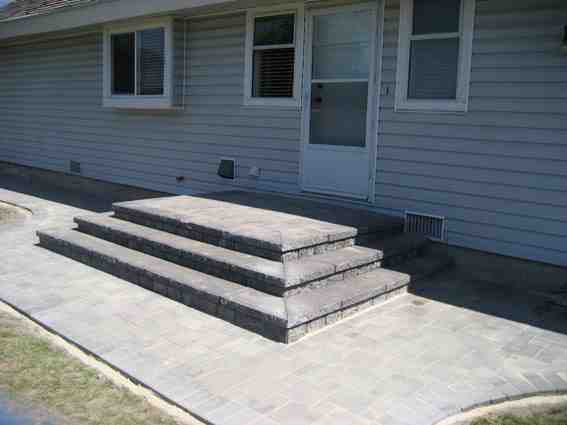 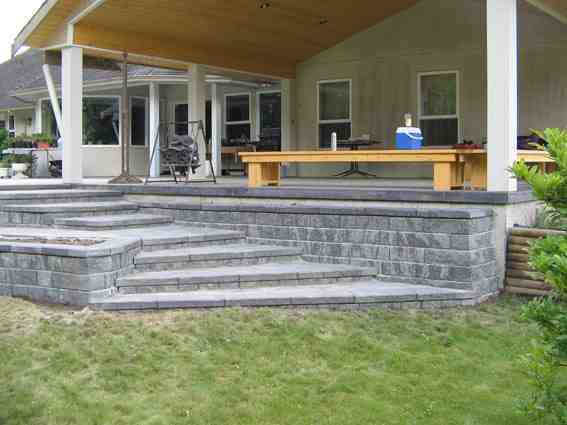 At Rampton Stonescapes, we’ve seen and done it all! 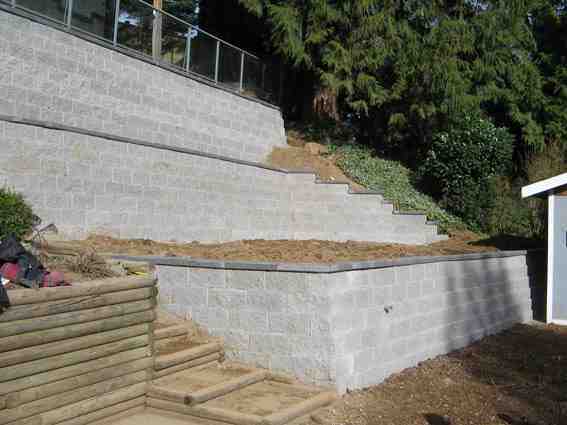 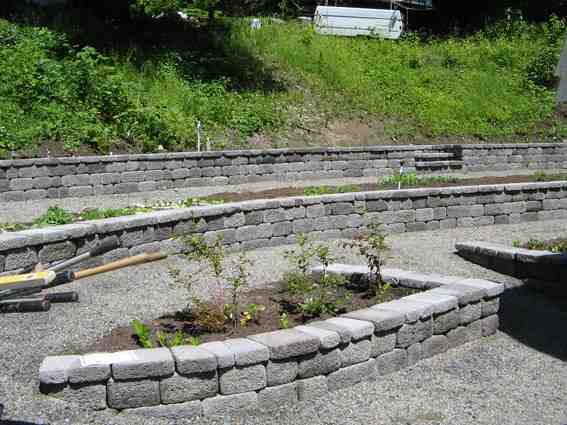 From creating massive structural retaining walls to crafting backyard garden steps, we can help you design and build beautiful and dependable solutions for any challenge. 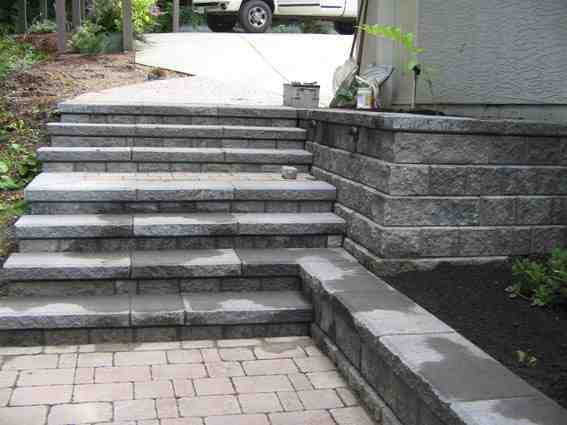 A bench wall, a grand entrance staircase, or a sunken patio with a fire pit, there is no project that we can’t imagine and build with you. 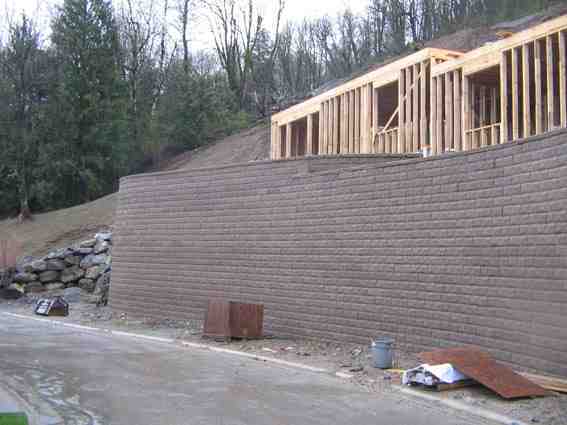 For slope issues or to create flat spaces, we have installed many engineered block walls to 5 meters and taller. 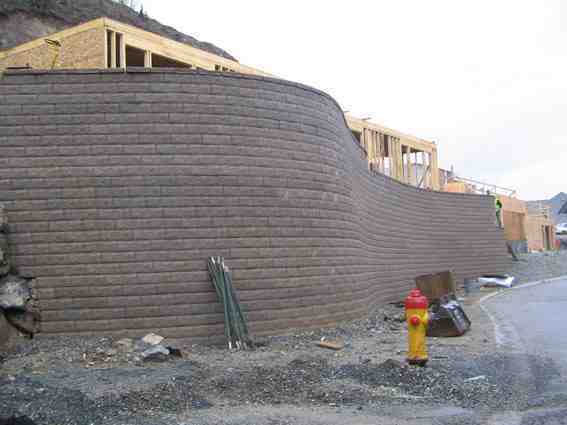 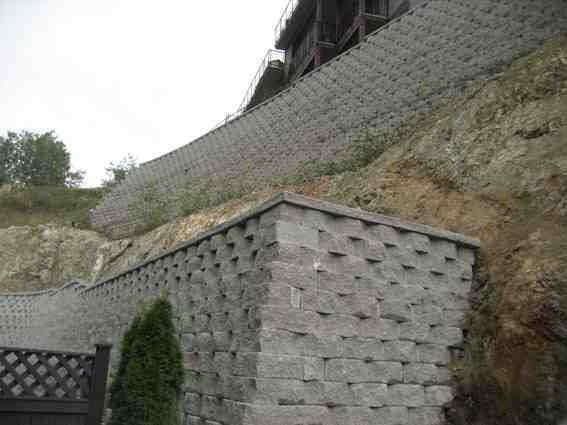 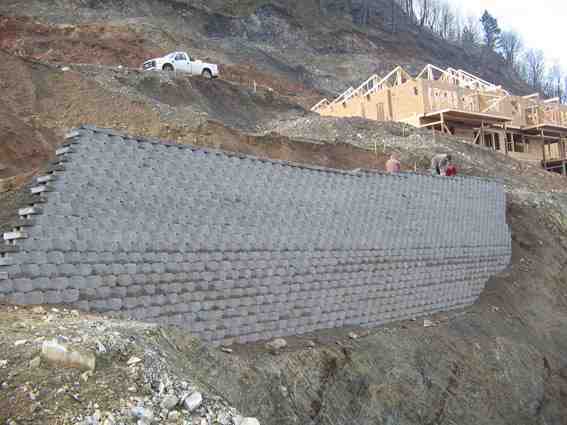 As well, we install rock walls and wire cage walls for large structural applications.